Gurtej Sahni Classes has come a long way from its inception years. Our institute is the brainchild of CA Gurtej Sahni. Gurtej Sahni completed his CA at the mere age of 21, cracking all the exams in the very first go and has been driven by the passion to teach ever since. With over 13 years of experience, our Institute has grown in stature in Chandigarh. A lot of blood, tears and sweat have gone into making the Institute what it is today. We’ve stuck to our motto of ‘Honest and Persistent’ teaching even in dire and changing times. Convening the students before thinking about ourselves. We have strived to extend the concept of face to face teaching taking it to the next level of‘Heart to Heart’ teaching. Understanding the pulse of the problems faced by our students, our intention is to not justprepare the aspirants for the exams, but for the challenges that lie beyond the completion ofeducation. It’s on the basis of this that we’ve bridged the gap between a teacher and a friend, hence we’veenjoyed such cordial relationship with our pupils. We as GURTEJ SAHNI CLASSES would like to thank all our students, old and new for thelevel of love and support that they’ve showered us with. a varied line of subjects he has easily surpassed 30,000 hours of quality teaching. Due to his in depth, heart to heart and practical oriented teaching style and the moral compass that guides his conscience CA Gurtej Sahni’s appeal amongst the CA students in the Tricity has risen consistently and prominently. The thing about his teaching style is that there are no corners cut, the subjects are covered from head to toe. The syllabus is done in a comprehensive yet concise manner. The most important part of his teaching career has been the recognition of the blood, sweat and tears that have gone in and the acceptance and appreciation of his methods by his past and present students. More than a decade of doing the extraordinary and achieving the unexpected has got him to his present stature, and he recognises the responsibility and weight that it carries and is happy to oblige making sure that learning continues to be beneficial, result oriented and most importantly enjoyable. The need to join the analytical side along with the mathematical one has been felt by the students in the commerce field lately. With subjects like Statistics and Operation Research taking center stage in the curriculum, a thirst for knowledge and for understanding has become paramount. Such needs are being catered in the Chandigarh Tricity region by teachers like Mansi Sahni. Mansi Sahni completed her MSc. 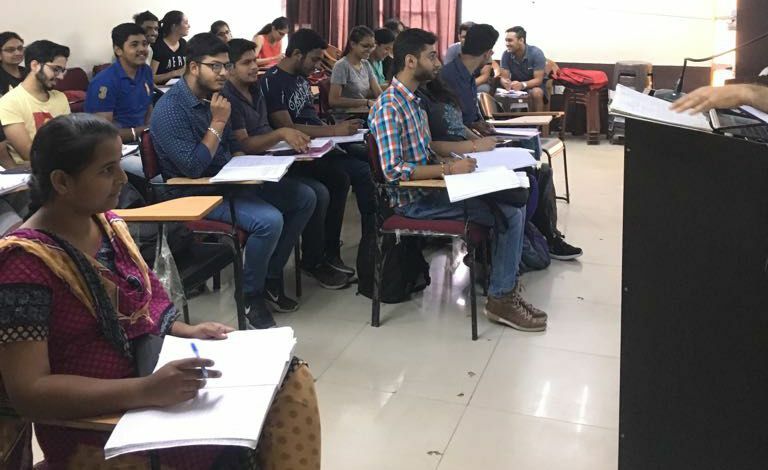 in Mathematics in 2008 and B.Ed in .With over 7 years of teaching experience she is now a prominent part of GURTEJ SAHNI CLASSES in Chandigarh. She has helped students connect the dots in an otherwise new field of study for them.